Chromium upgrade to version 44.0.2403.155. Default apps window from Settings will open up itself instead of displaying Windows 10 popup with guide on how to set the browser as a default. 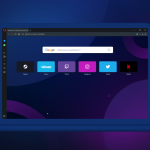 It will enable setting Opera as a default browser in Windows 10 much easier. Fixes of some annoying issues that you reported us. For detailed list of changes, check our changelog. As always we’re looking forward for your comments.